Dry: 695 lbs., Wet: 3,295 lbs. Immerse yourself in the warm waters of the Catalina. Enjoy a variety of seating, with room for five including a deep seated lounger fit with wrist and foot massage jets. With a wide rectangle design that measures 90" x 79", the Catalina allows you to relax in high style as armrests and 54 targeted hydrotherapy jets ease muscle tension and stress creating the ultimate backyard retreat. When you're shopping for an affordable hot tub that offers comfort, performance and elegance, nothing compares to the Catalina hot tub from PDC Spas. 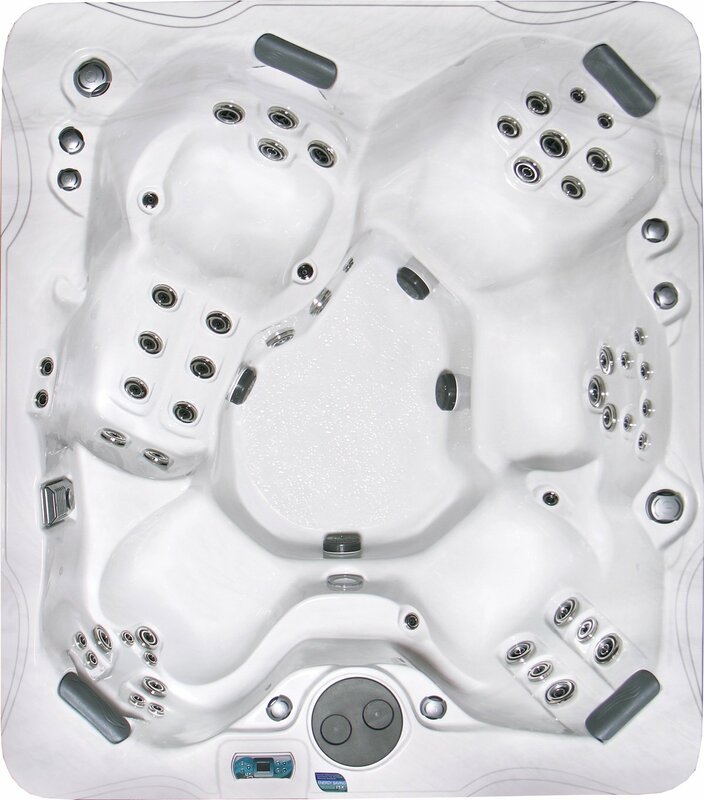 Drift away with the soothing ambiance of Prism LED underwater lighting and cascading waterspouts, standard on all Premium series spas.